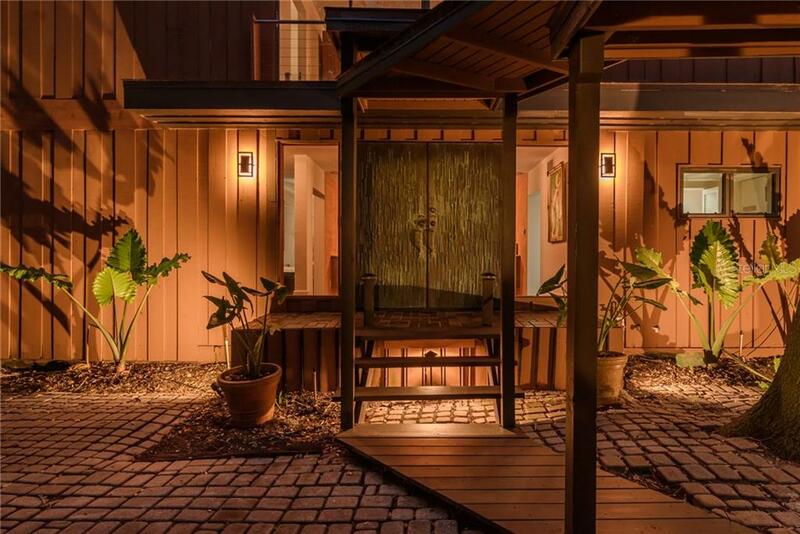 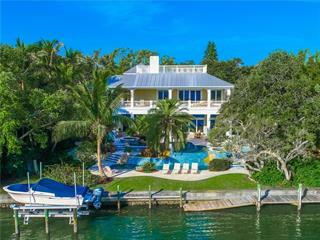 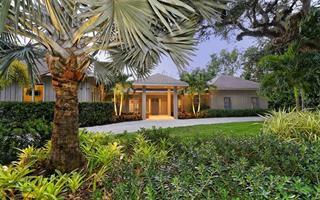 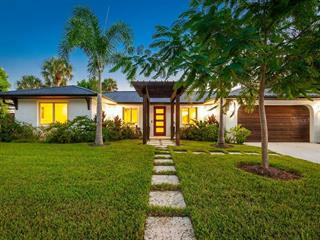 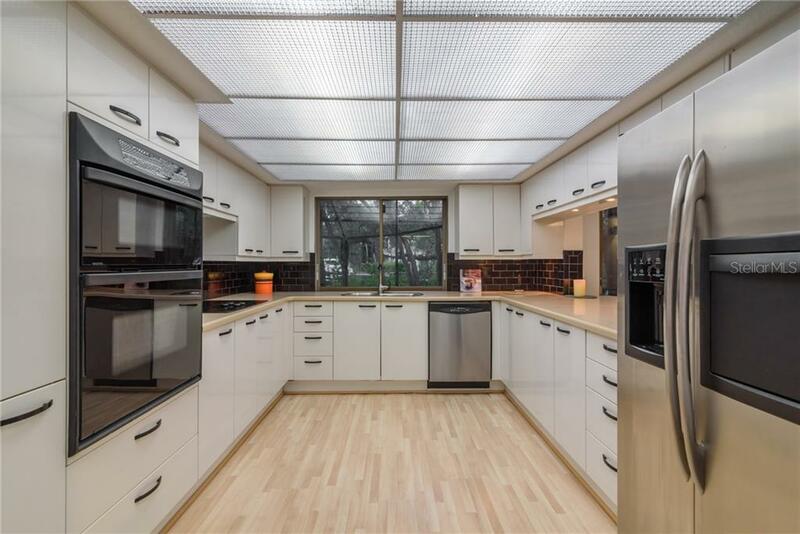 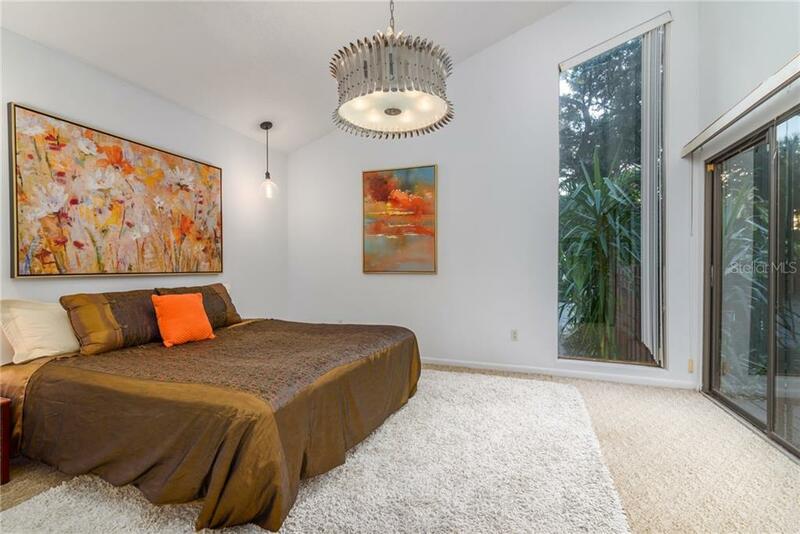 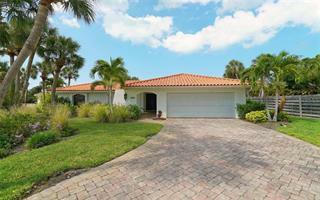 Luminous Siesta Key Contemporary Waterfront home in Exclusive Hidden Harbor enclave of 36 homes. 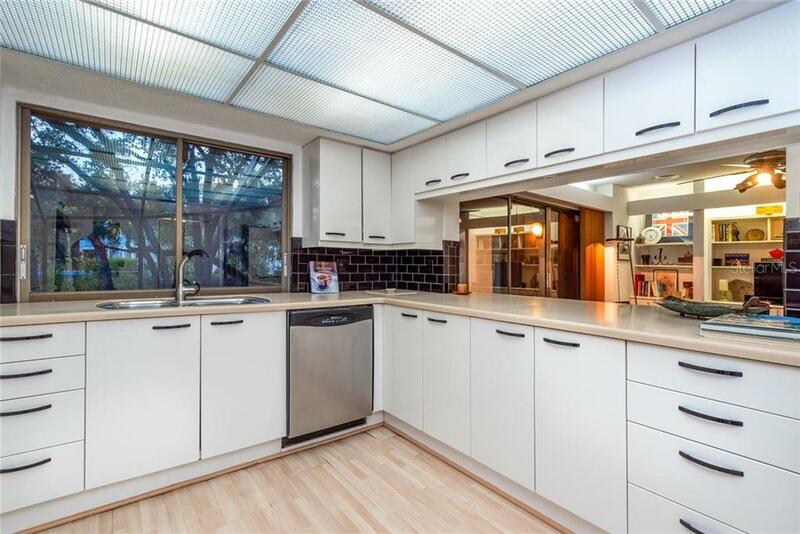 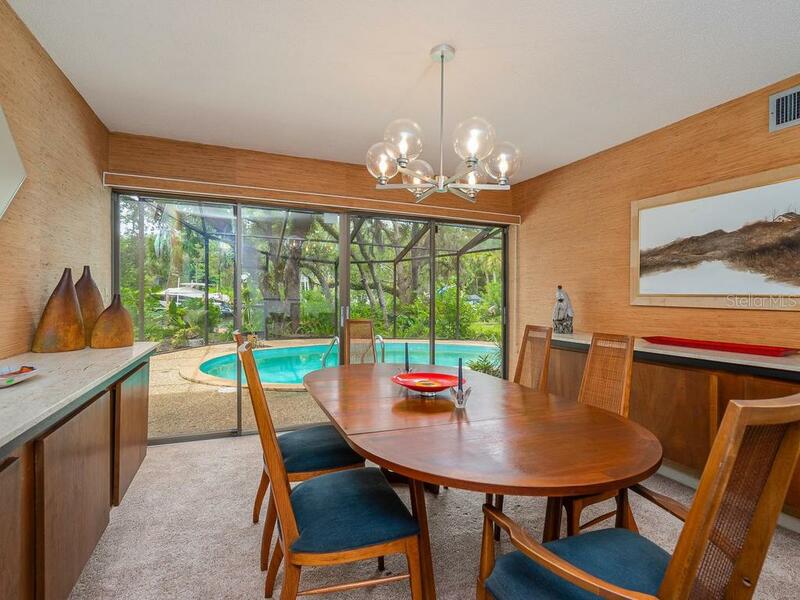 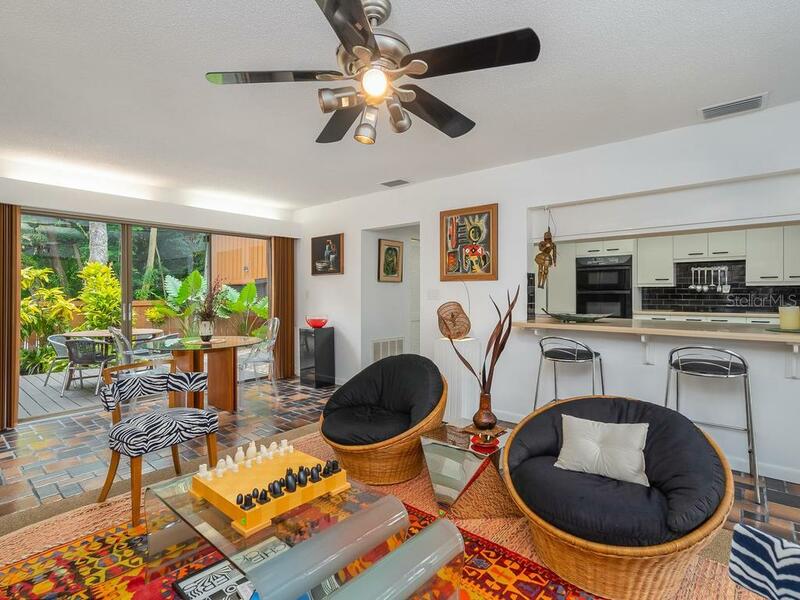 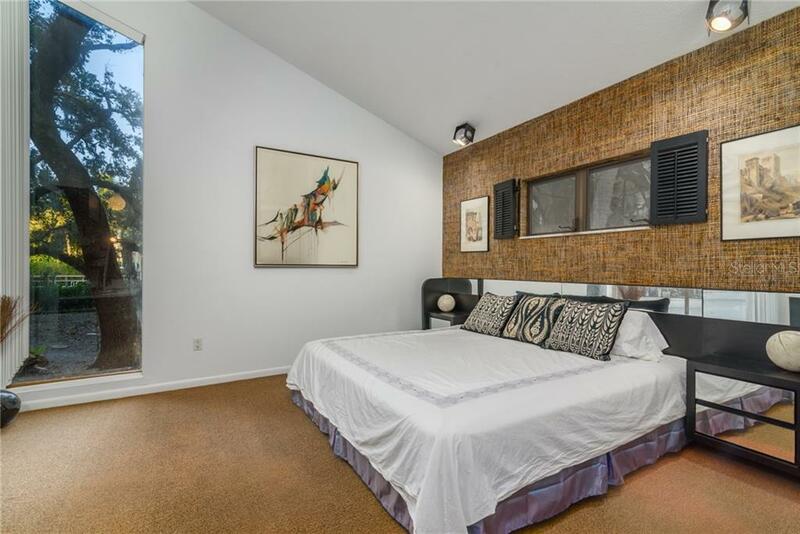 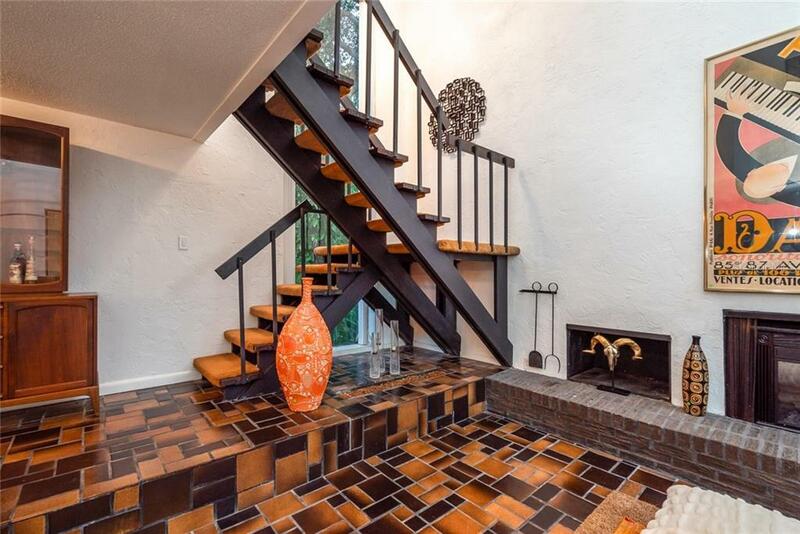 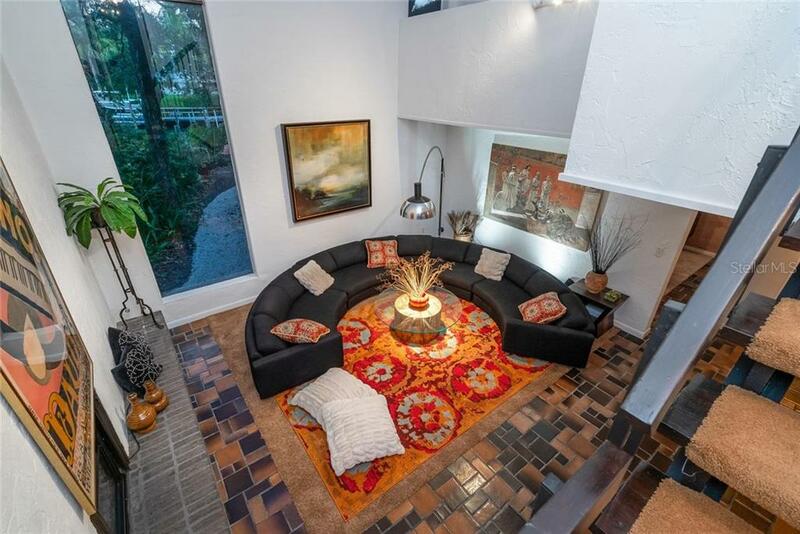 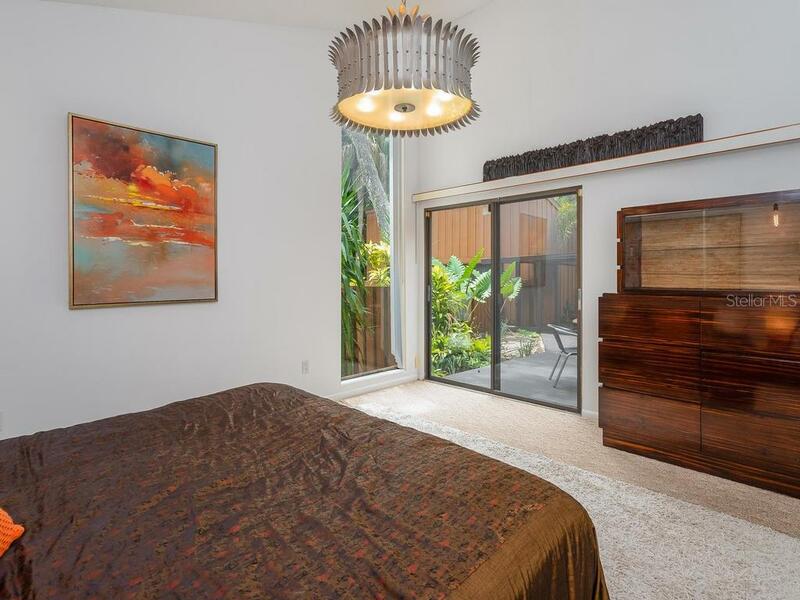 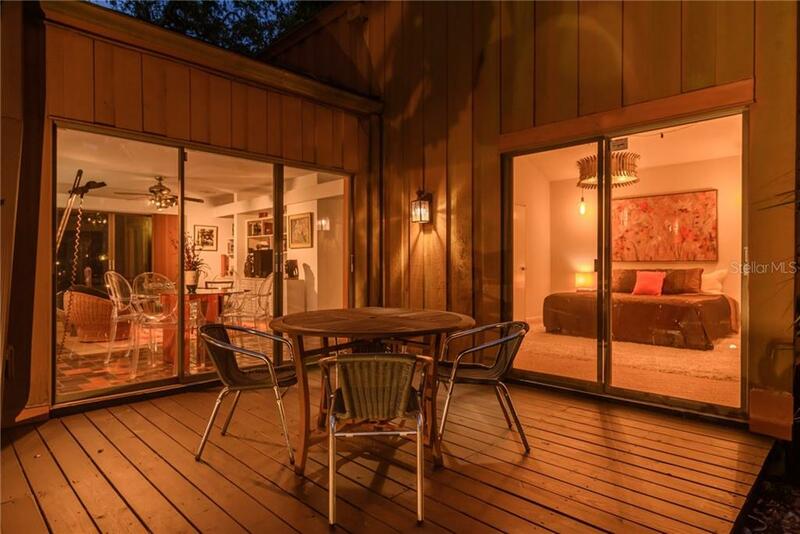 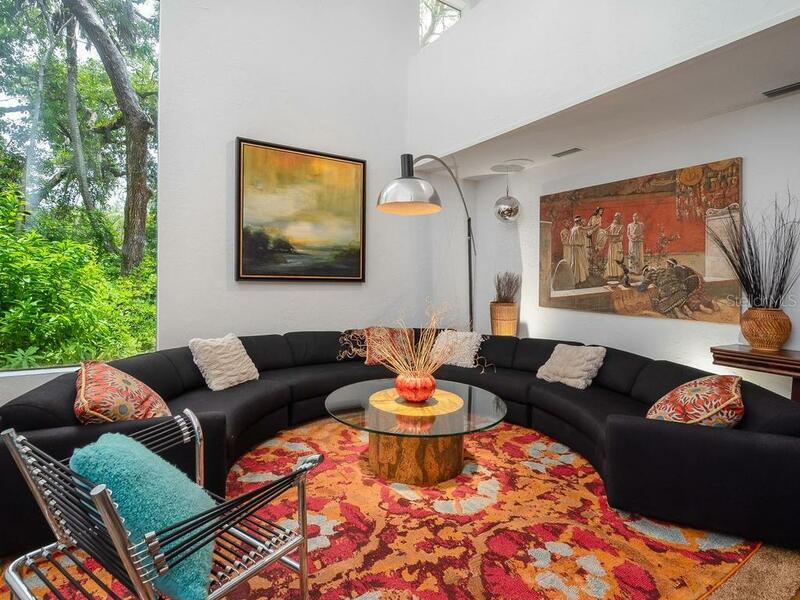 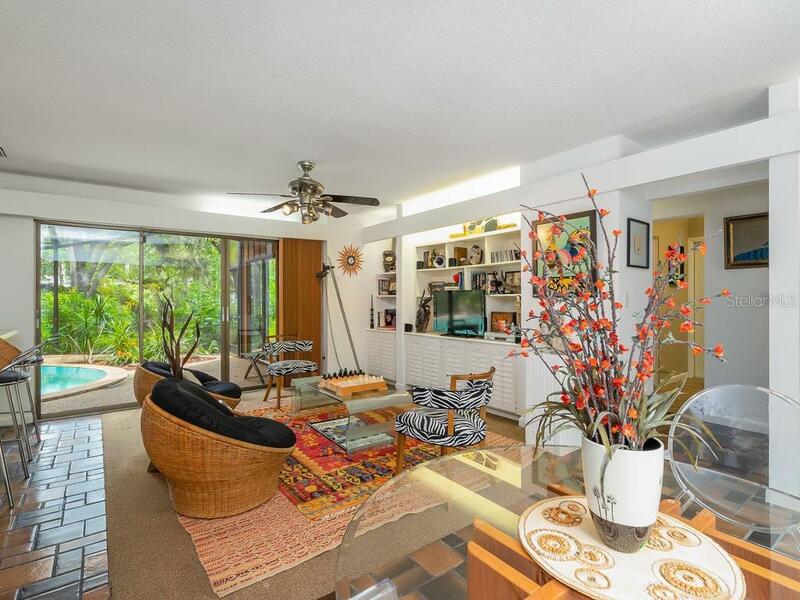 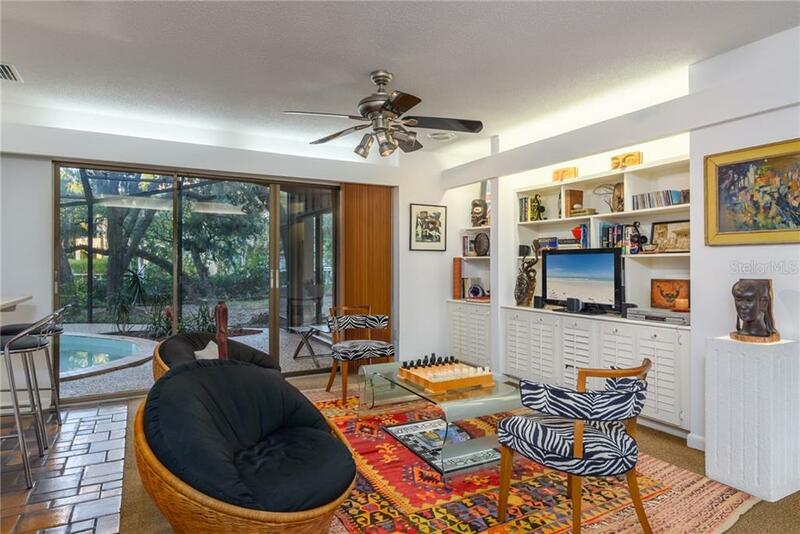 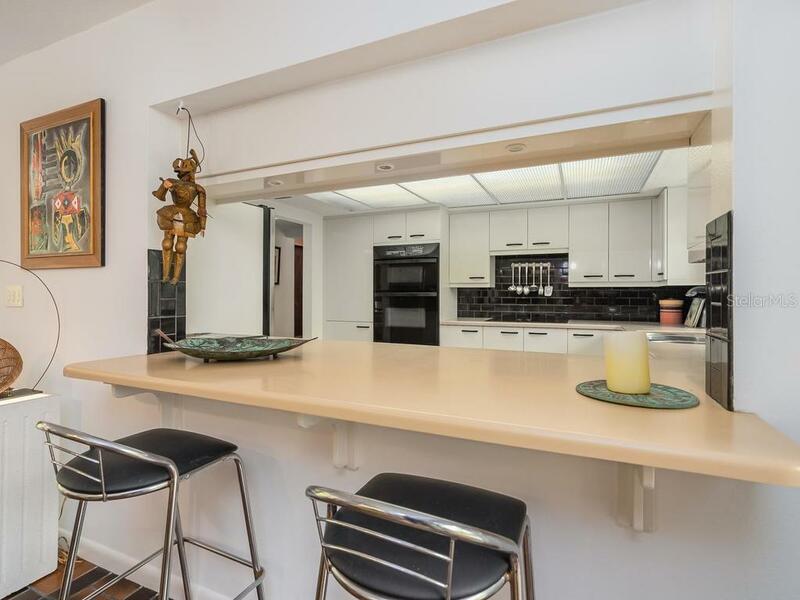 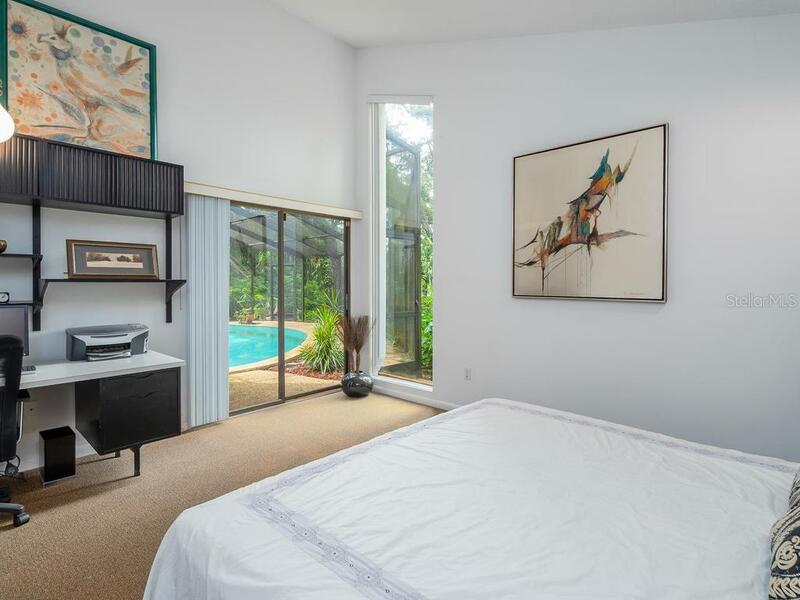 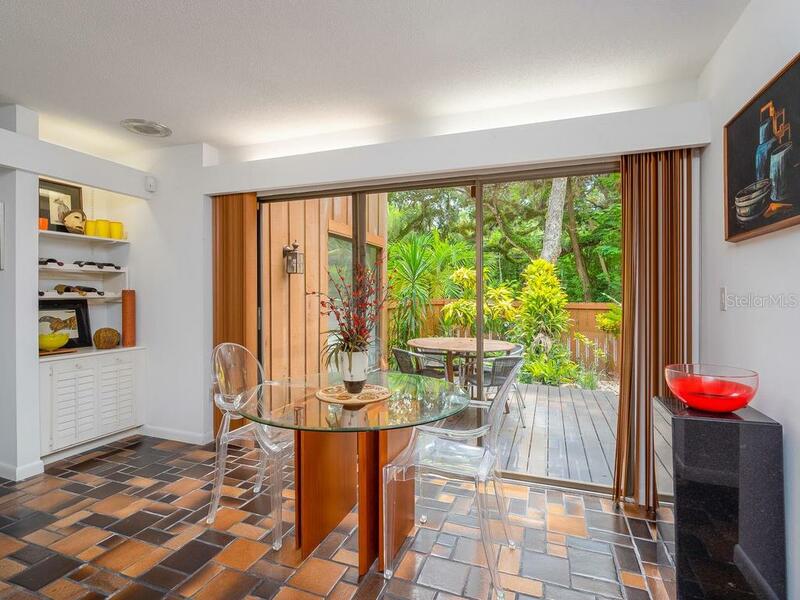 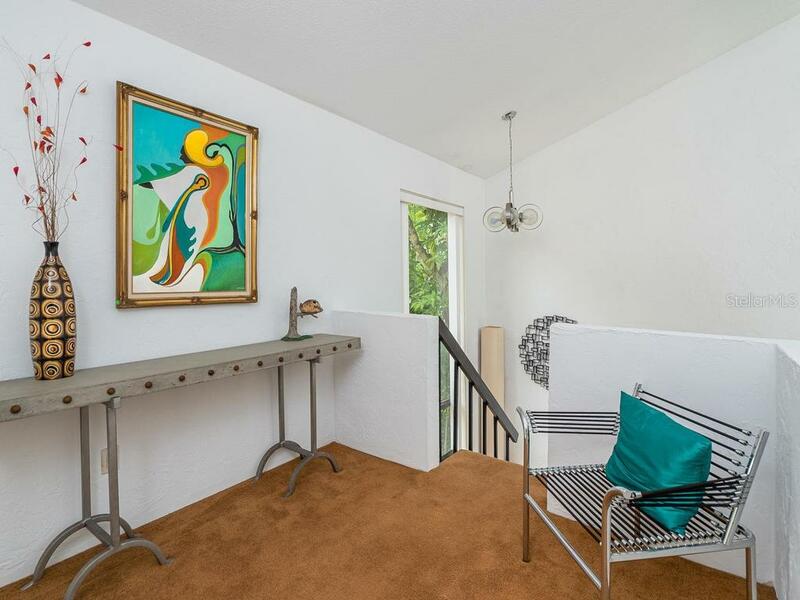 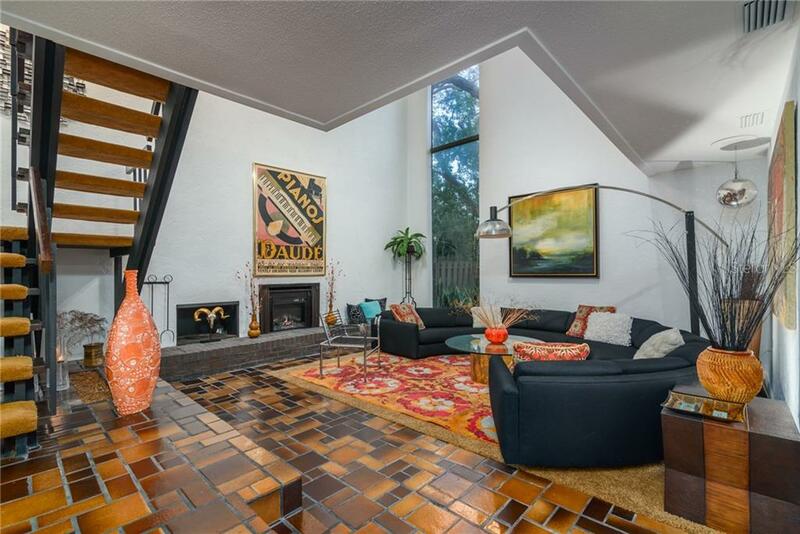 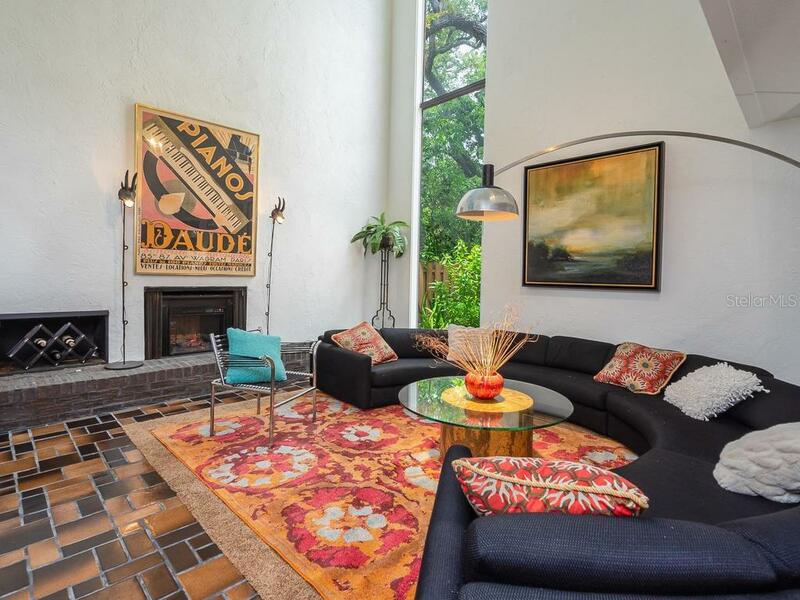 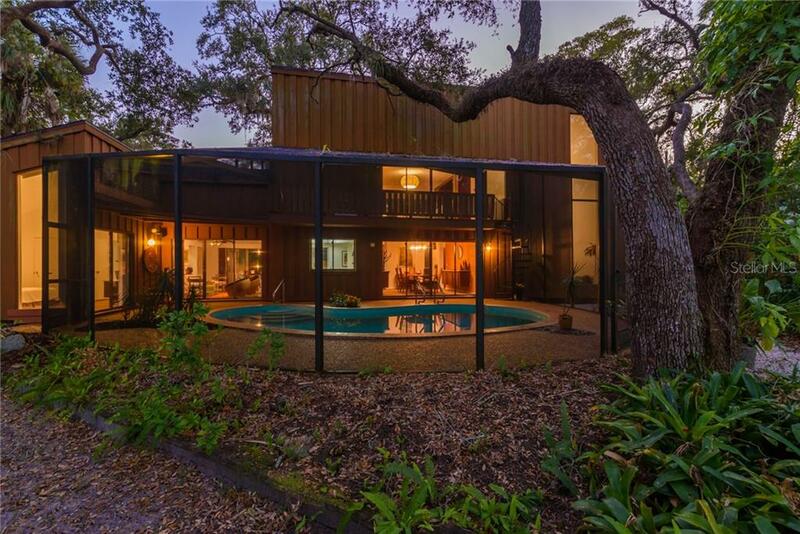 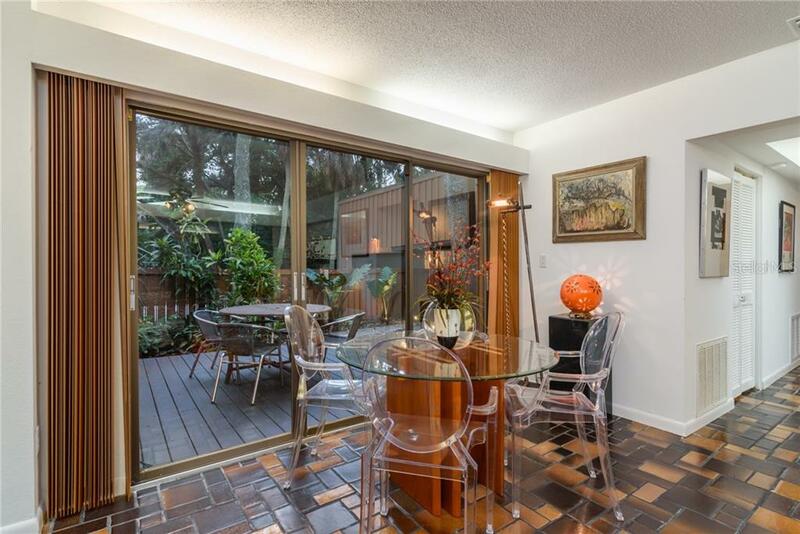 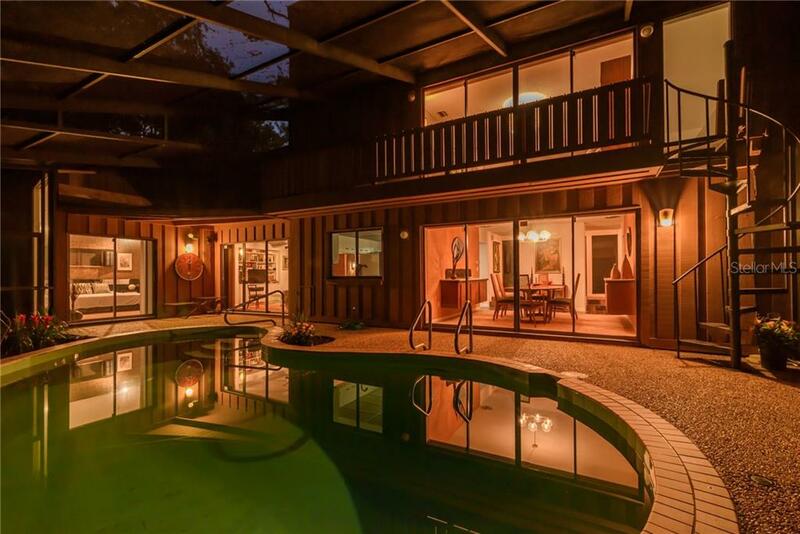 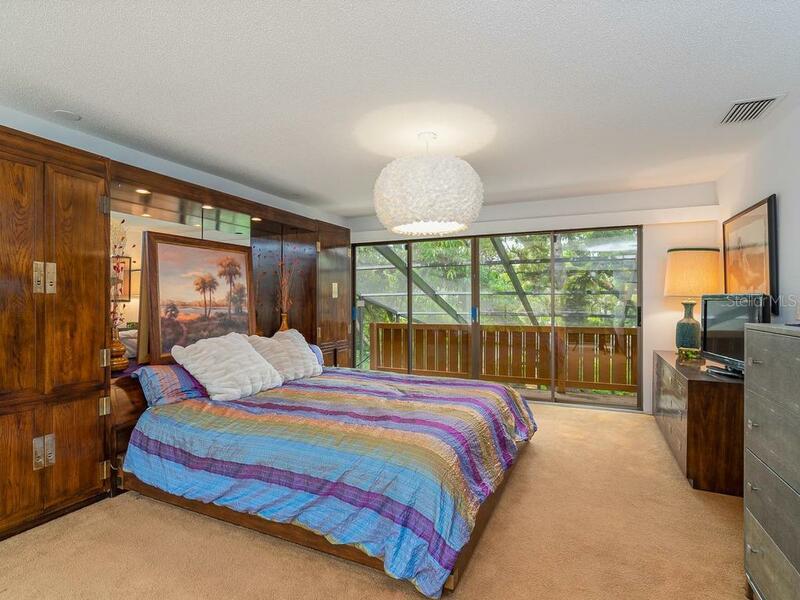 Timelessly Designed by a Prominent Modern Architect, the home is a wonderful example of late Mid-Century Architecture. 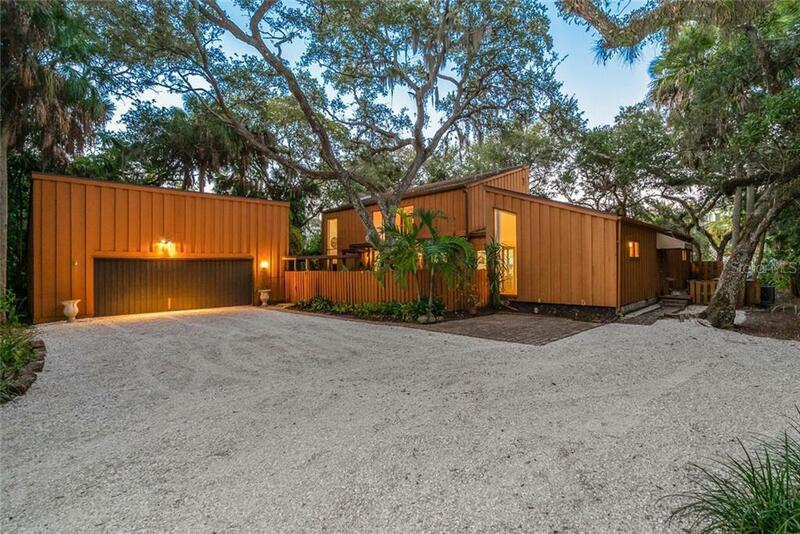 Drive Private Paver... more.ed Streets with a Heavy Canopy of Old Oaks & transport back to old Florida, away from island tourists. 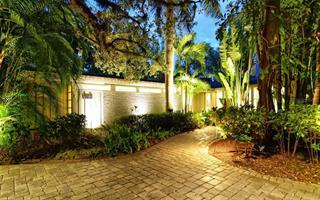 Travel the Winding & Heavily Canopied streets to decompress from the outside world then arrive at your own Sanctuary. 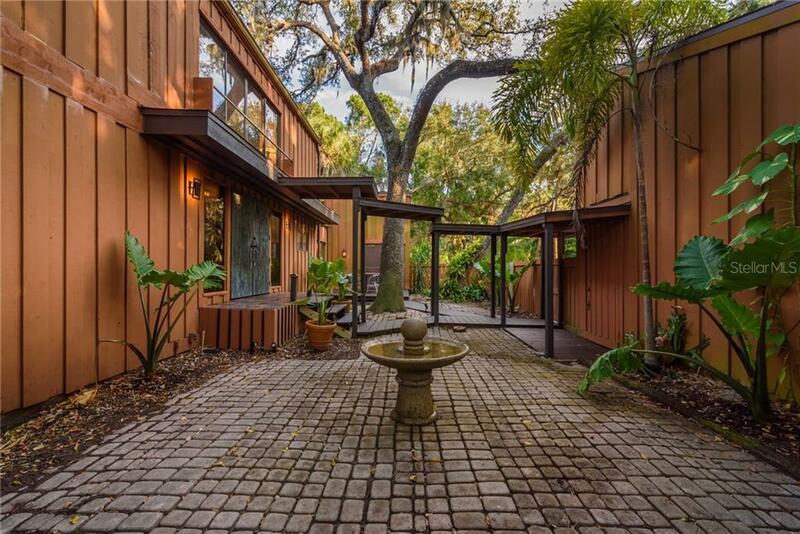 Behind the gate reveals a Courtyard & Fountain beyond, then ascend 3 steps to the Grand Verdigris Doors framed by 2 floor to ceiling windows with views into the Home & Garden beyond. 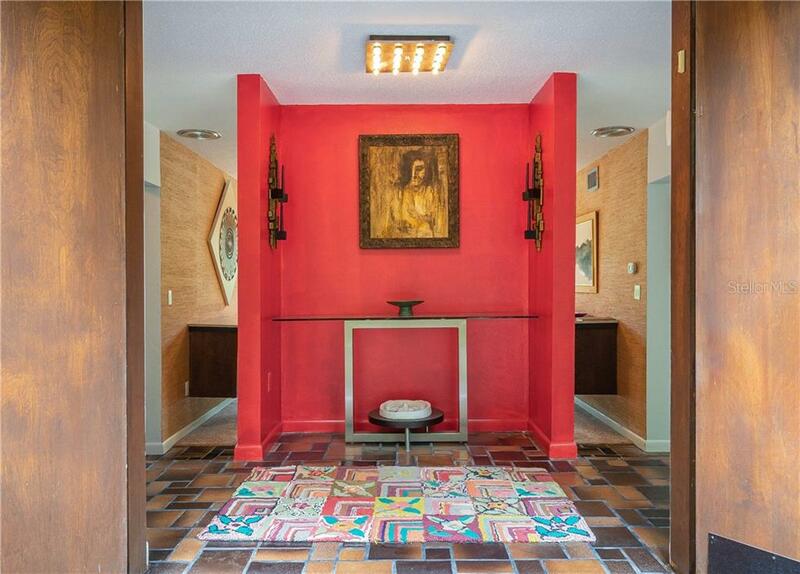 Open the doors to a Formal Entry Hall with red accent walls, the perfect for Art. 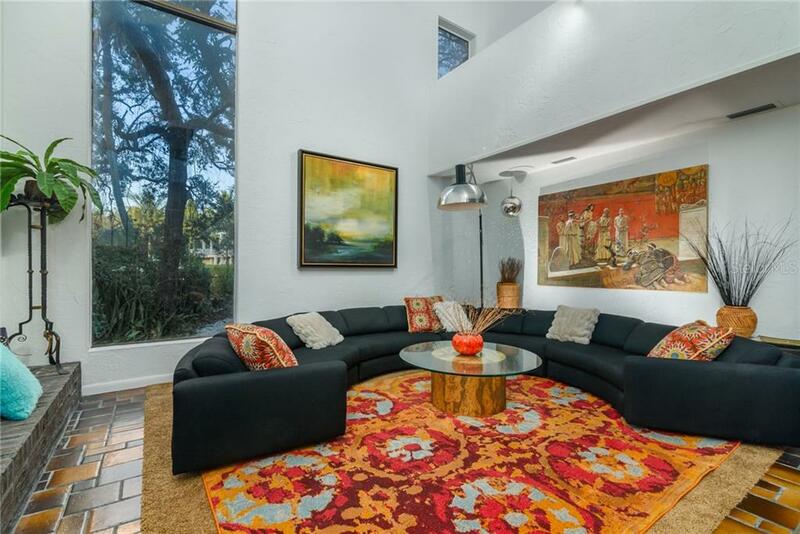 The Residence features 20’ Vaulted ceilings, Wood Burning Fireplace in Great Room & Formal Dining & Family rooms off Kitchen. 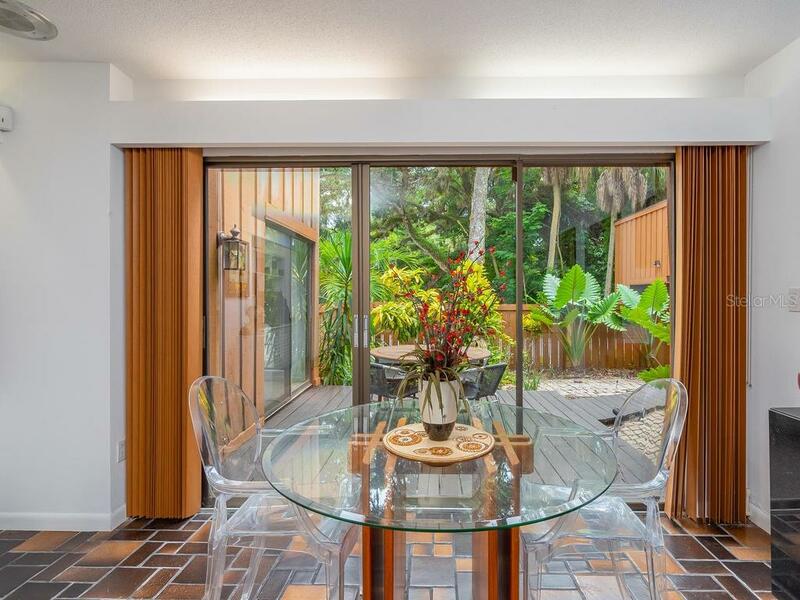 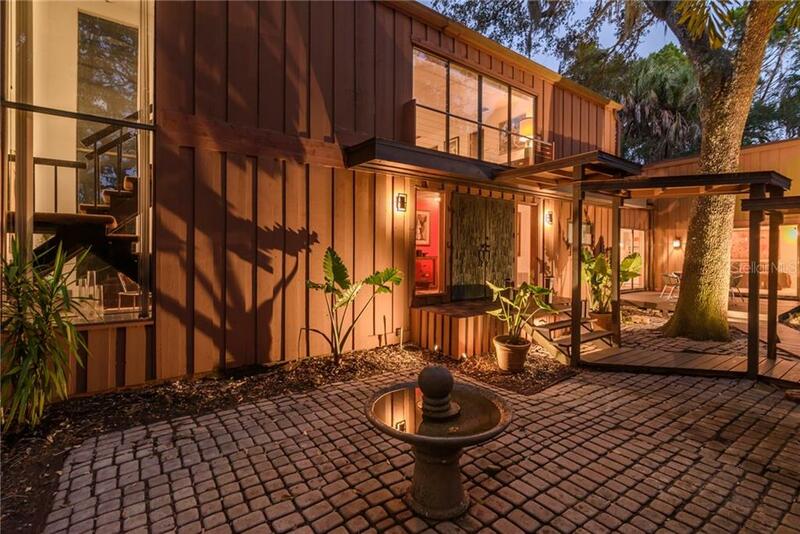 Sliding Glass Walls abound and integrate the Outside reminiscent of the Sarasota School of Architecture. 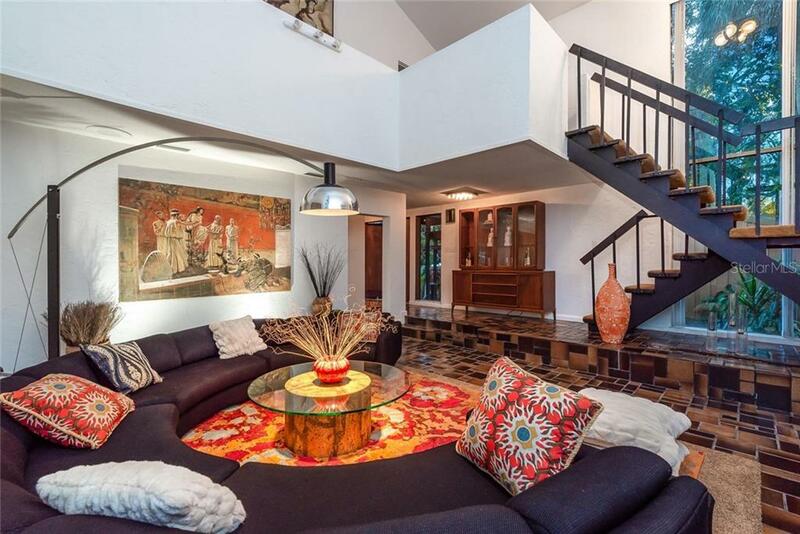 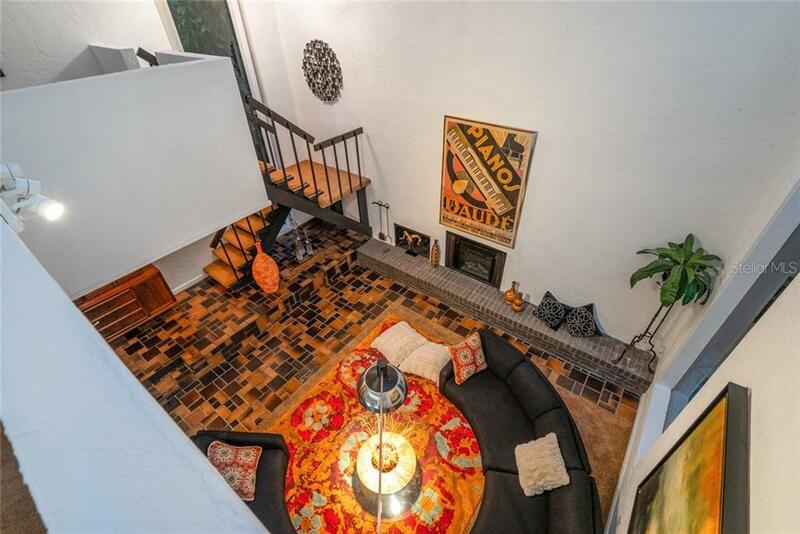 Artistic split plan with Loft overlooking Great Room & Generous Master upstairs with Stairway on balcony to access pool below. 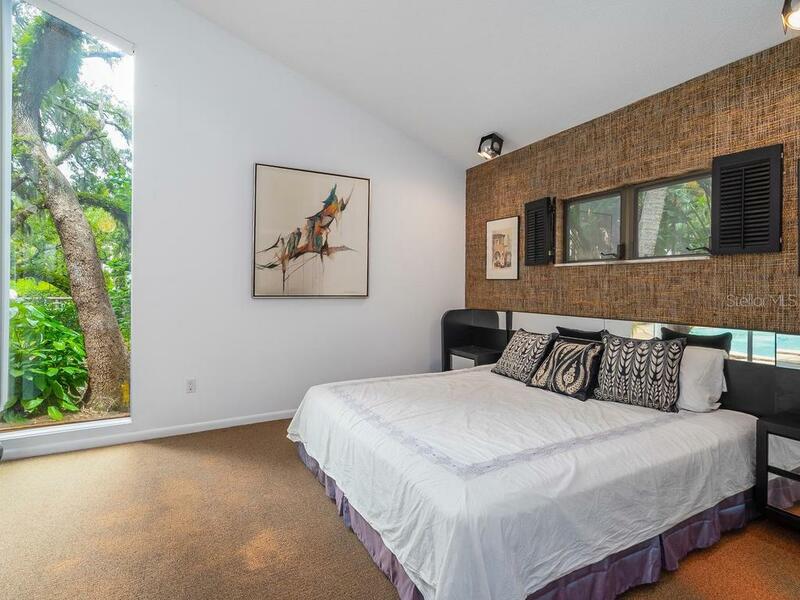 Sliders on both sides of Master & Family Room integrate inside with the tropical outdoors, 2 generous bedrooms downstairs with large sliders & walk in closets as well as a dedicated pantry & laundry rooms. 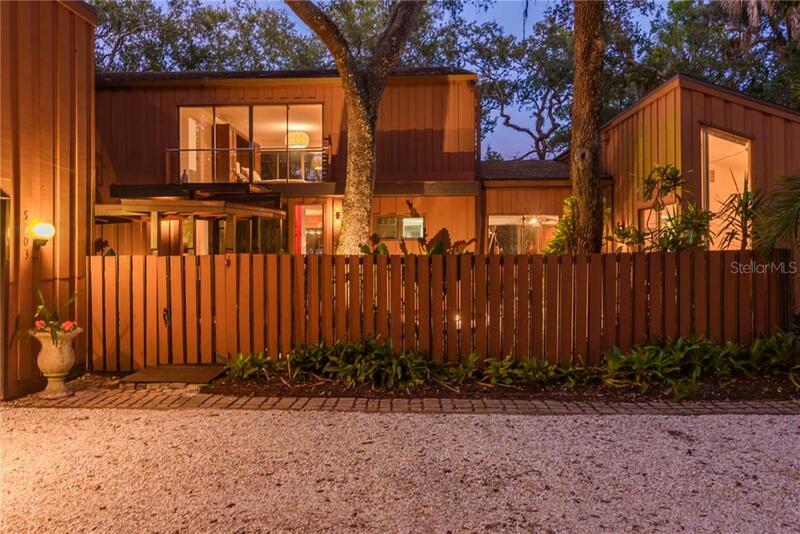 Home is constructed of Cypress a termite and rot resistent wood. 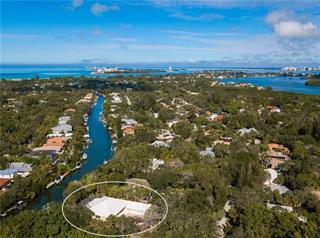 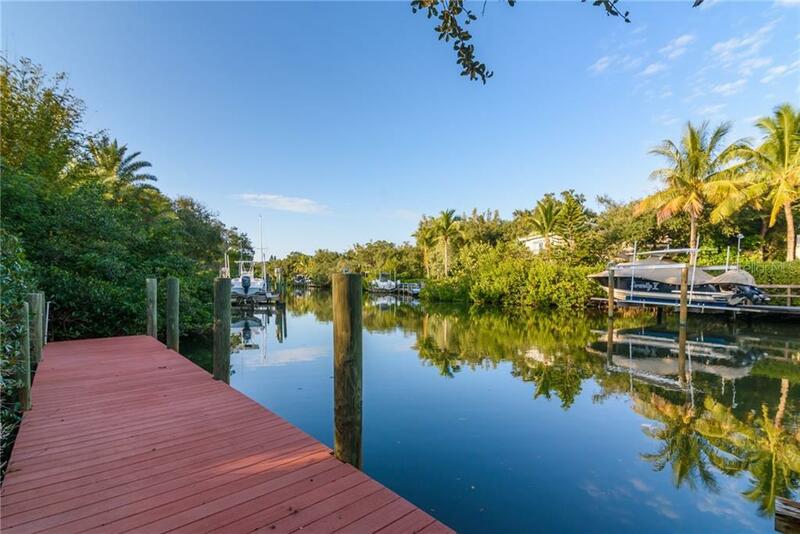 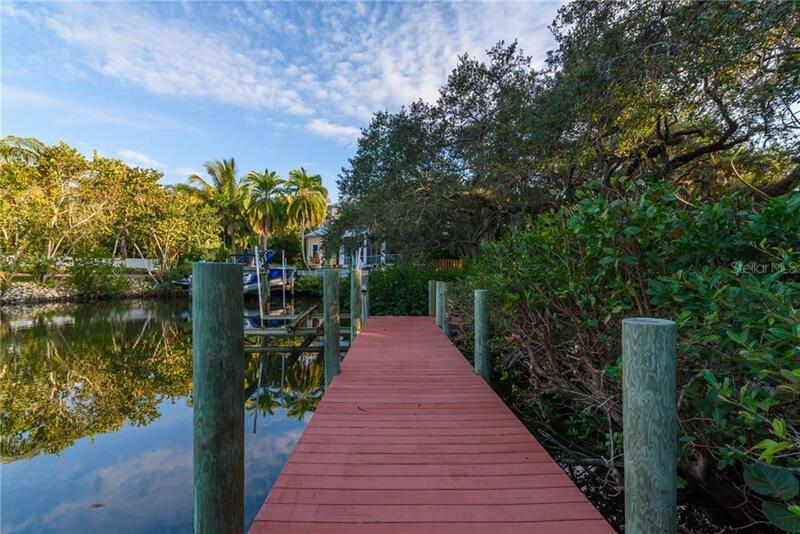 Half acre parcel with 119’ canal frontage, 34' composite dock, Lift & no bridges to Bay. 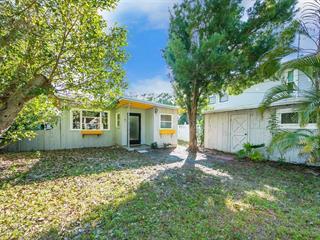 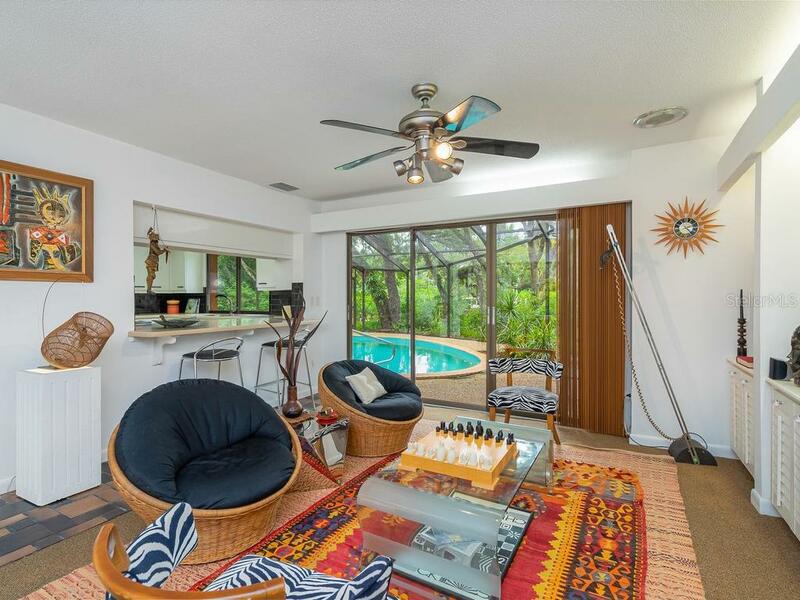 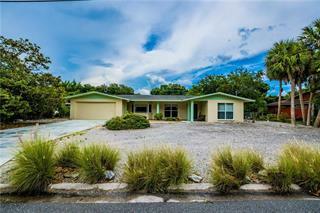 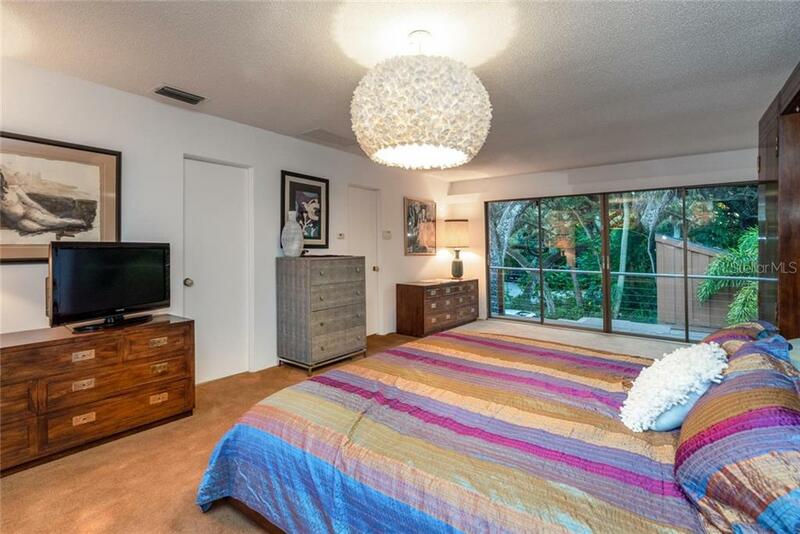 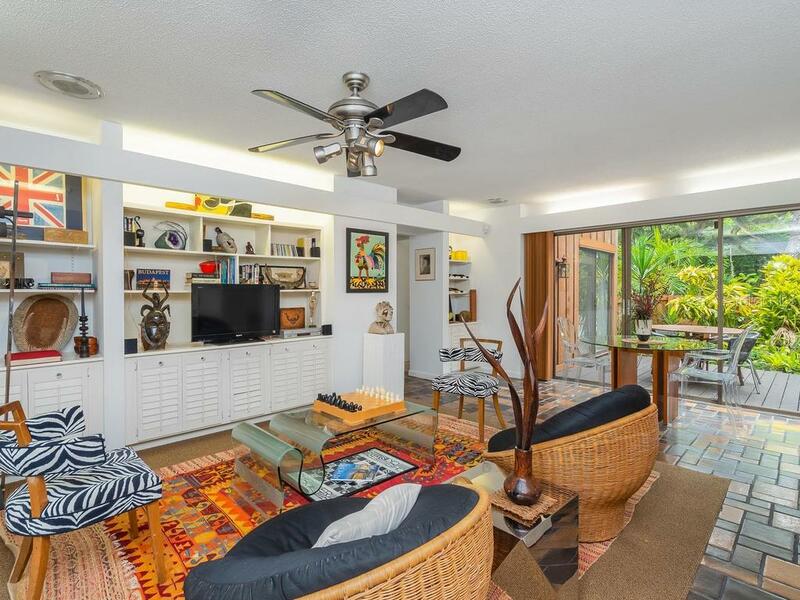 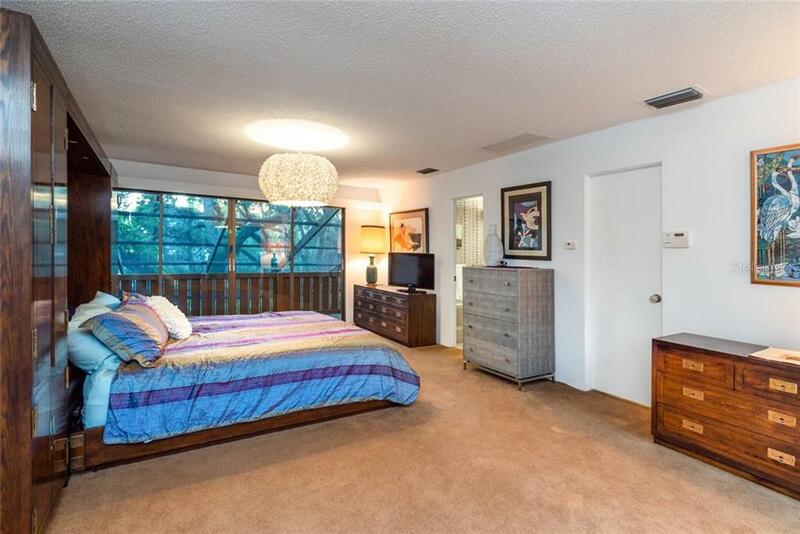 Located mid-key so easily assessable to Beaches & Downtown Culture, Dining & Amenities.